Iran has beaten the US throughout 40 years of confrontation, the country’s Supreme Leader Ayatollah Ali Khamenei said on Saturday. Khamenei’s comments came at a meeting with students a day before the anniversary of the 1979 takeover of the US Embassy in Tehran, Efe news reported. He said that the US power continued to decline and that it had failed in its objectives despite years of military and economic pressure against Iran. On November 4, 1979, Iranian students who supported their country’s revolution took control of the US Embassy in Tehran and held 52 American citizens hostage for more than a year. “The US is today much weaker than it was 40 years ago,” Khamenei said, adding that “the world opposes every decision the US President makes, not only the people but also the governments oppose him”. US President Donald Trump’s administration is set to impose further harsh sanctions on Iranian oil exports on Monday, while granting waivers to allow eight countries to temporarily import Iranian oil without facing US punishment. 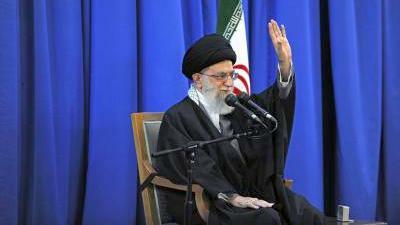 Khamenei called the US sanctions futile and said they made Iran more economically and politically self-sufficient.